Cargobikelane: Is it time to forget folding bikes and squeeze your ride instead? 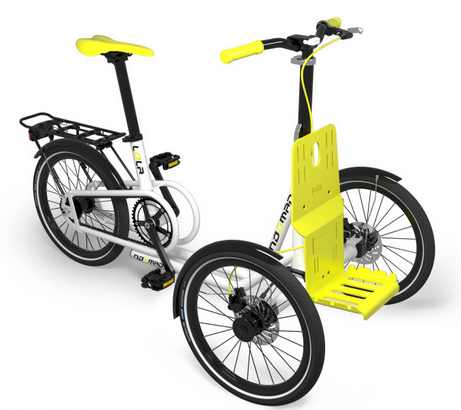 Is it time to forget folding bikes and squeeze your ride instead? Bike design is experiencing a wave of creativity to make living with your bike easier. Folding bikes are plentiful. 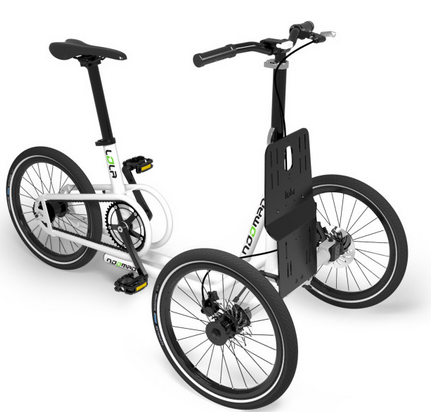 Tern even partnered with Xtracycle to give us a folding cargo bike. Have you ever considered squeezing your bike to a smaller size for storage? 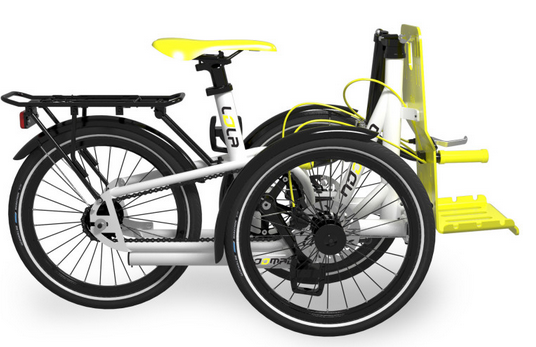 The folks at Noomad Bike give cargo trike riders the option to compress their ride like an accordion. This trike has two cool parlor tricks. First the yellow front plate can accept different attachments like a child's seat or you can simply strap your load on. It follows up with a presto change-o that compresses the footprint of the frame. The red circle indicates where Noomad departs from the typical folding break in the frame. It looks like the black knob is a release to allow the frame to slide through the tubes and compress down. 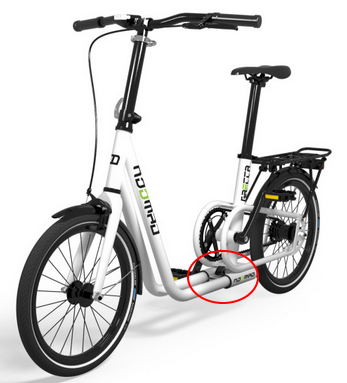 The stem and seat post breakdown in similar fashion to other folding bikes. Seeing new innovation coming to market is always exciting for me. Upon second glance I started to wonder about the strength of the frame as well as the practicality of the footprint. Folding bike fans is there room for a sliding frame vs folding models?